In some places‚ the smell of burning leaves is synonymous with fall. 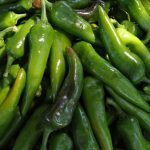 In Pueblo‚ the savory aroma of roasting chilies signals summer’s end. 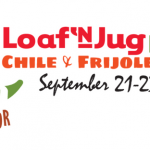 The annual Chile & Frijoles Festival Presented by Loaf ‘N Jug‚ held each year in late September‚ is Pueblo’s harvest celebration. 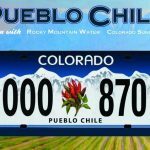 The festival is sponsored by the Greater Pueblo Chamber of Commerce. 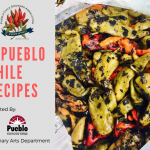 Every year, thousands pay homage to two of the Pueblo area’s best loved crops – green chilies‚ particularly Pueblo chile‚ and frijoles or pinto beans. The event features music‚ arts and crafts‚ cooking competitions and chilies‚ chilies‚ chilies. Held downtown along Union Avenue‚ it draws Pueblo residents as well as people from across the state and around the nation.